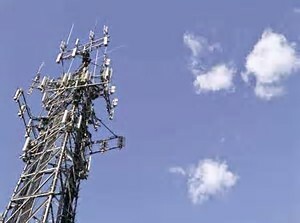 GST Capital Partners LLC is quickly becoming a major component in the ever-expanding arena of wireless communication. GST leverages knowledge and understanding of the industry to provide our clients with a unique and unconventional solution. From local broadband companies to large-scale wireless communication businesses, we can develop and deploy a plan that meets your specific need. Our goal is to redefine industry standards in client service. We are committed to Protecting People by Facilitating First Responders. We are designed to be flexible and adapt with our clients and the ever-changing wireless infrastructure market. Because we are not one of the “Big Guys”, we have the ability to develop strategic relationships with our clients, and can guarantee that our work product is unmatched in the industry. GST has both the experience and knowledge in construction for the telecommunications and energy industries. We handle project scopes of all sizes with the ability to construct sites on time or ahead of schedule. 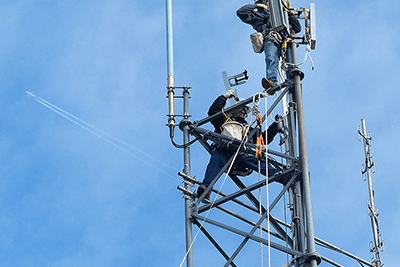 Whether it’s constructing new telecommunications towers, reinforcing or modifying existing towers, installing lines and antennas, or performing maintenance on existing sites, we are the team you can trust. Multiple Constructed Sites and locations available for Colocation throughout the United States. You will not have to wait for repairs and installs. We understand how important your network is to you; that is why we offer our fast support services. When you call us with a problem we guarantee that your phone call will always be answered by a live person. No voice mails, waits, or delays. 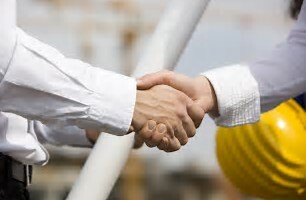 We have same day response and availability upon expedited requests. If its important to you, its important to us, plain and simple. We don’t nickel and dime you because we do proper planning, accurate estimations, and comprehensive research. You can keep the momentum going for your company and beat the competition by expanding your sites at a faster rate. Rest assured that all our team and services are certified by the industry's leading standards. Collin Phillips has served as the Chief Executive Officer of GST Capital Partners, LLC (GST) since its inception back in 2014. Mr. Phillips also serves as the Head of Business Development for Phillips Energy, Inc., the original investor in Gulfsouth Towers and GST. For the past 10 years Collin has run the family business, securing capital commitments in excess of $300 million and putting those funds to work in a variety of different industries. Since 1933, the Phillips family has identified and developed successful business prospects and has made successful entries into the medical, banking, energy, and telecommunications sectors. Mr. Phillips received his Bachelors of Science in Business Management from Southern Arkansas University. Mr. Phillips also has a passion for philanthropy, and works with local organizations such as the Shreveport Regional Arts Council (SRAC) and The Betty and Leonard Phillips Deaf Action Center, where he has served as a Board member since 2009. Keri has been a Certified Public Accountant for 10 years, working for over 6 years in public accounting, focusing on Federal and state tax planning and reporting for a variety of client businesses. She joined Phillips Energy, Inc. in 2014 to use her oil and gas tax and accounting experience in the family run company. She received her Masters of Professional Accountancy and her Bachelor of Science degree in Accounting from Louisiana Tech University. She is a member of the American Institute of Certified Public Accountants and the Society of Louisiana Certified Public Accountants. She serves as the Treasurer for the Council of Petroleum Accountants Society. Mr. Bean is the President and one of the founders of GST Capital Partners, LLC and Gulfsouth Towers, LLC. Gulfsouth Towers was the original startup company and is the management company behind GST Capital Partners, LLC. Prior to joining GST Mr. Bean served as President of RROG, LLC for ten years which is a company that provides services to oil & gas, wind and solar energy, telecommunication and utility companies. During that tenure Red River Telecom, LLC was also formed to specifically service the wireless industry across the United States. In his current role Mr. Bean manages the day to day operations of GST Capital Partners, LLC and Gulfsouth Towers, LLC including overseeing general corporate business activities. Mr. Bean has successfully secured the necessary capital to expand GST’s footprint as a regional provider focused on the US Southern Region into a national provider with the ability to serve our clients anywhere in the US. Mr. Smith is the Executive Vice President of Operations and one of the founders of GST Capital Partners, LLC and Gulfsouth Towers, LLC. Mr. Smith has held various management positions in the wireless industry. His most recent experience was the role of President of Red River Telecom, LLC, a privately held tower infrastructure company that provides site acquisition, zoning and project management services. Mr. Smith held that position until joining GST, guiding the company through its evolution and into its current scale. Mr. Smith has close to 20 years of experience in the wireless industry, overseeing acquisitions and the development of communications sites for Sprint, T-Mobile, AT&T, Verizon and several other carriers. Mr. Smith’s Legal and Business background give him a unique perspective on the industry, which has proven to be valuable to the GST team. Mr. Smith received a Bachelor of Science in Business Administration from ULM and LSU Juris Doctorate with Business Law Certification from SLU including being licensed Louisiana Real Estate agent. Mr. Huffty is the Executive Vice President of Site Development for GST Capital Partners, LLC and Gulfsouth Towers, LLC. Prior to joining GST Mr. Huffty served as the Land Manager for BHP Billiton, a global resources company. While at BHP, Mr. Huffty lead a strategic team responsible for the acquisition, regulatory permitting, construction, and drilling of more than 300 wells throughout Louisiana and Texas. Mr. Huffty has 12 years of over-arching site development, construction, and land management experience. In his current role Mr. Huffty manages all strategic acquisition opportunities and site development for the company, and currently oversees new macro site builds from Georgia to California. Mr. Huffty received Bachelor of Science in Business Management from Louisiana Tech University.